Effective States » How can poor people be brought into formalised economies? Our Research Director Professor Kunal Sen has just published a new book: Out of the Shadows? 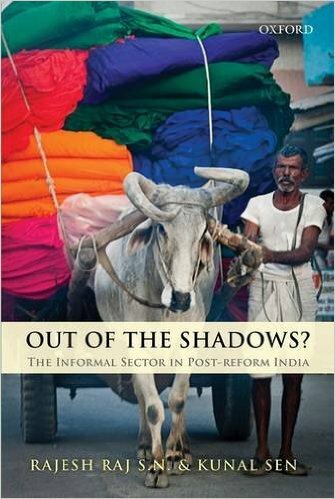 The Informal Sector in Post-Reform India. 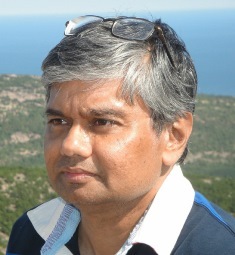 Here he investigates how the poor can be brought into formalised economies. In recent decades, a number of countries in the developing world have experienced rapid economic growth. Surprisingly, though, in the formal sector this growth does not seem to have resulted in high rates of employment. The global financial crisis is one factor that has led to employment in the formal sector stagnating, or, at best, increasing at a slow rate. Simultaneously there has been a rapid rise in the size of the informal sector in many developing countries, which has provided residual employment for many retrenched formal sector workers. The informal sector allows for a much needed breathing space for the majority of workers and its importance as a source of jobs and a cushion for adverse economic shocks has been realised by policy-makers. At the same time, however, there is concern that, although the informal sector is large and a source of employment, it is also less productive than the formal sector and not contributing much to India’s economic growth. 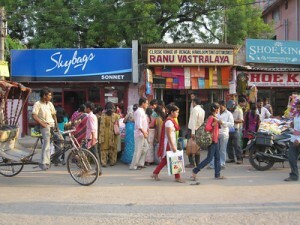 Policy-makers in India face a conundrum. One option is to advocate for a reduced informal economy and relocate as many workers as possible to the formal sector. Another is to promote the well-being of the informal sector and take steps to enhance its vitality and inherent dynamism. First, there’s the view is that it is inherently exploitative – a site for primitive capital accumulation to take place, unfettered by the regulations and social norms of fairness that govern the pay and working conditions of the formal sector. This view posits workers in the informal sector as under-paid, suffering abysmal conditions and unable to formally voice their concerns to their employers. The opposing view is that the informal sector is dynamic, creative and a means of accumulation. It is a way in which households and entrepreneurs can make the long but necessary transition from the very small enterprises of early stage capitalism to the huge corporations of late capitalism. In this view, any regulations or laws introduced by the state, or attempts to recreate the informal sector as a mirror image of the formal one, are merely going to weaken its creative energies and bring the growth of informal enterprises to a grinding halt. The most important role that the state can play in encouraging the transition of firms to the formal sector is to leave the informal sector alone. These two standpoints, positioning the informal sector as a means of exploitation, on the one hand, or accumulation, on the other, differ substantially in how they would advocate bringing the poor into formalised economies. Put starkly, those who view the informal sector as exploitative would formalise the informal sector, while those who view it as accumulative would informalise the formal sector. So which view holds the most traction? Based on my research on the Indian informal sector, I find that the available empirical evidence does not support one view over the other. The empirical reality of the informal sector in India and most other developing economies suggests that the production and labour relations that characterise the sector are complex and heterogeneous, with both productive and exploitative relations existing side by side. However, it is clear that attempts to bring the informal sector within the ambit of the state are largely ineffective at bringing the poor into formalised economies. The bid to formalise informal firms, by offering their owners subsidies to invest in more capital or hire more workers, has had a relatively weak effect on their growth and motivation to formalise. Simplifying registration for new formal firms has worked as an incentive, but this only matters to firms that are close to the size threshold for formal sector entry. At the same time, for household enterprises that a majority of the poor work in and own, attempts to formalise the informal sector will have little effect. Measures like introducing regulations on social security provision will only discourage these firms from making the necessary transition to employing workers and growing in size. What is needed is concerted government action to provide targeted skills training and entrepreneurship support programmes to these informal household enterprises. Easing access for their owners and managers to financial institutions and better provision of public goods like electricity will also help informal enterprises to grow and the poor to make entry into formalised economies.